This is a view of the Old Fort Ghat adjoining old Fort William. The old Fort was built at the turn of the eighteenth century. In 1757, an attack on the fort by the forces of Siraj-ud-Daulah, the Nawab of Bengal, led the British to build a new fort in the Maidan. The old Fort buildings were repaired and used as The Company’s factory and offices including the Customs House that stared functioning from 1766. Both goods and passengers were unloaded from ships at the landing-stage shown here. 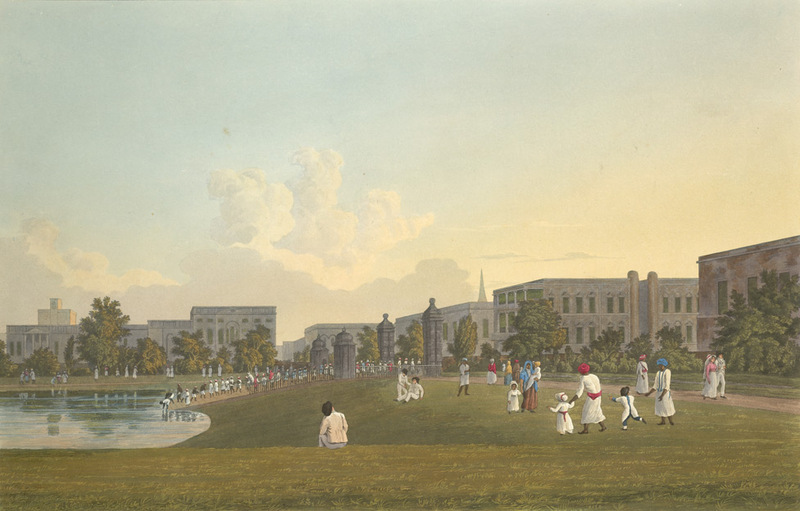 According to the instructions issued by the Customs House in February 1807, “no goods whatever imported at Calcutta. 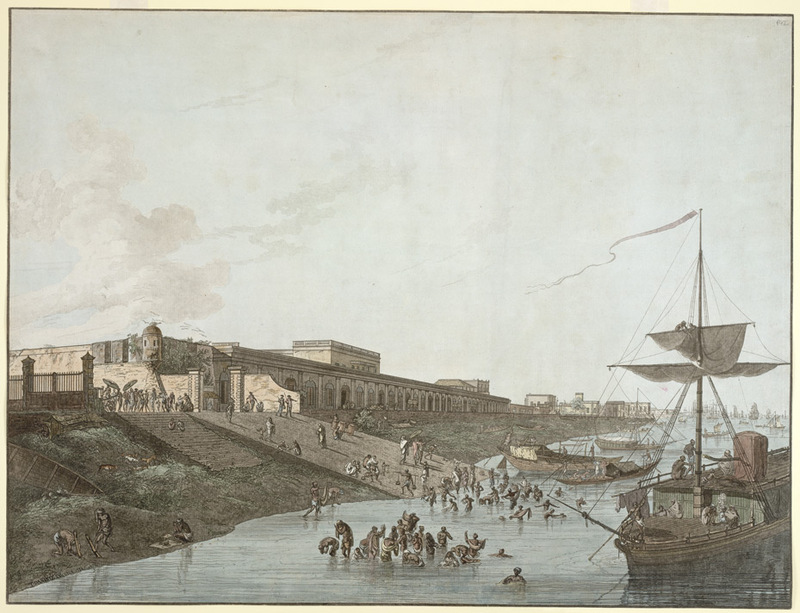 From sea, or for exportation from Calcutta by sea, will, in future, allowed to be landed at, or shipped from any other Ghaut, but that to the south of the custom house at Calcutta.” The ghat was also a popular bathing place for the people of Calcutta.